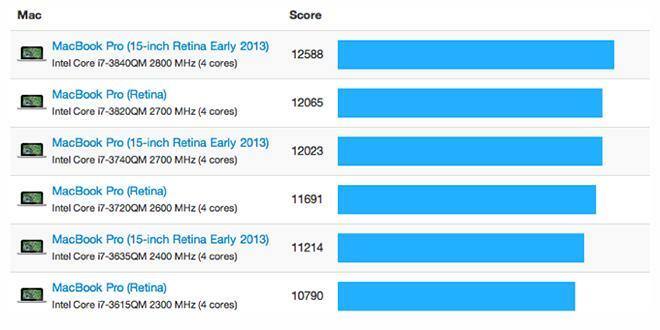 Primate Labs ran the refreshed Retina lineup through its cross-platform Geekbench 2 benchmark utility. 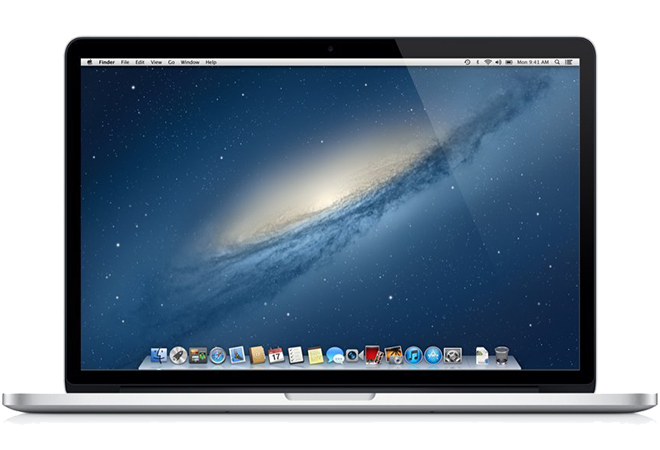 The developers then compared the refreshed Retina MacBooks' results against those of their predecessors. The 13-inch model, which got a 100MHz bump in processor speed, saw a three to five percent jump in performance on the Geekbench 2 test. Likewise, the 15-inch model, which also got a 100MHz spec bump, saw performance improve between three and five percent. Primate Labs attributes the jump entirely to the new processors. The new Retina models are available now and were announced along with a price reduction in the line. The 13-inch model now starts at $1,499 for a model with a 128GB SSD, while the model with a 2.6GHz processor and 256GB SS sells for $1,699.